JR Kyoto Station Kyoto Tower and Music fountain "AQUA FANTASY"
In Kyoto, the whole town is not light at night. Around the dark city, many kinds of light is lit. Type of light is variety. This is the Kyoto Tower in front of JR Kyoto Station. 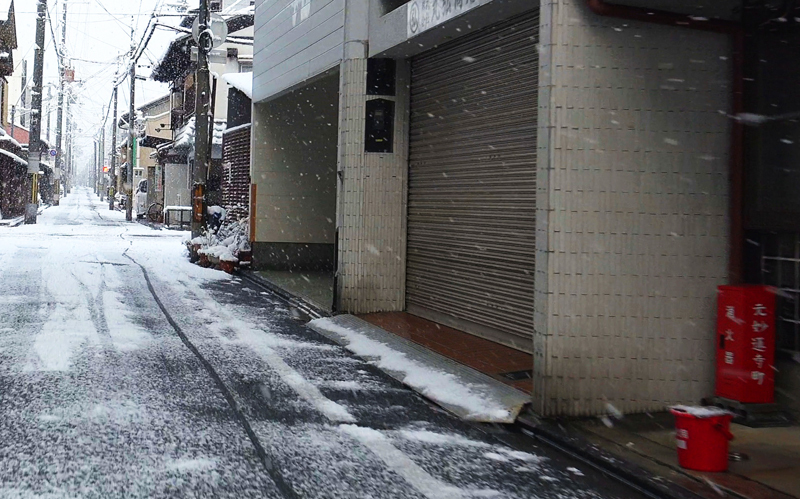 This shining white stands out conspicuously in the Kyoto City. The shining rainbow is fountain. The fountain is lit up and music is played. It is very beautiful!! This fountain can be seen on time. When I went to Kyoto Station on business, I will be very happy if I see this fountain by chance. It is plum flower near the Treasure hall. Kitano Tenman-gu Shrine has been enshrined Sugawara no Michizane. SUGAWARA no Michizane loved plum flowers during his lifetime. So, plum trees is planted a lot in the precincts. Most of the plum flowers is still bud. But, The plum flowers in the precincts smell sweet. It is the Kitano Tenman-gu Shrine of Snow in New Year's Day. It is the Kitano Tenman-gu Shrine of Autumn leaves in fall. This is Setsubun Festival of Daruma-dera Temple in Kyoto. Daruma-dera Temple is quiet temple usually. However, here is crowded with a lot of people in the Setsubun Festival. From the first Setsubun means the turn of the season. 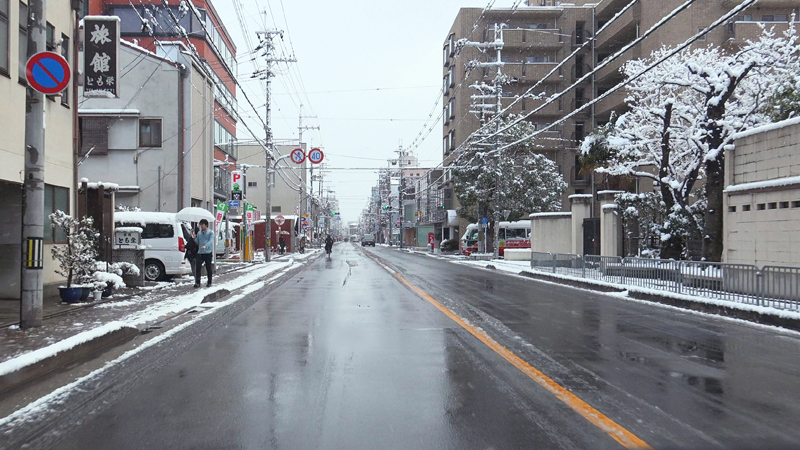 In Japan, there are four seasons. 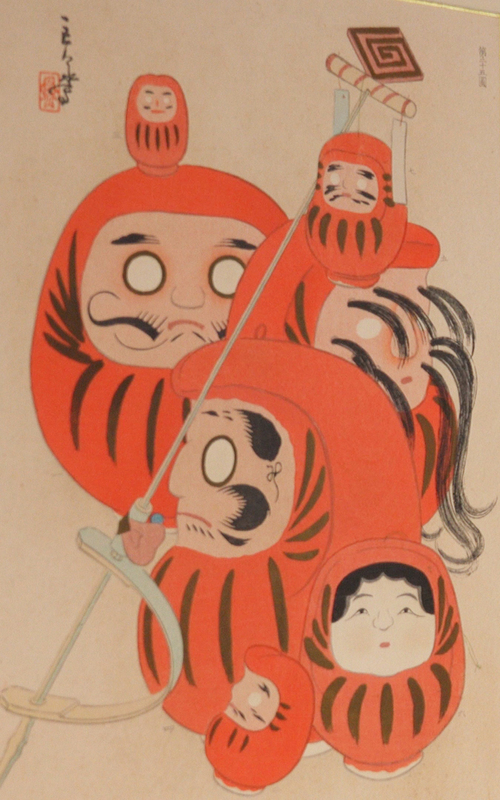 Setsubun means boundary between the spring and winter at the present time. That day is February 3rd. Tradition says Oni appear in the turn of the season. Oni is a frightening monster of Japan. Oni is also a symbol of bad things and terrible things and strong ones. At the Setsubun Festival, Event for drive out the Oni take place in various parts of Japan. Red ones that are stuck in a temple gate is old Dharma charm. Ordinary, Event for drive out the Oni take place at the Setsubun Festival. 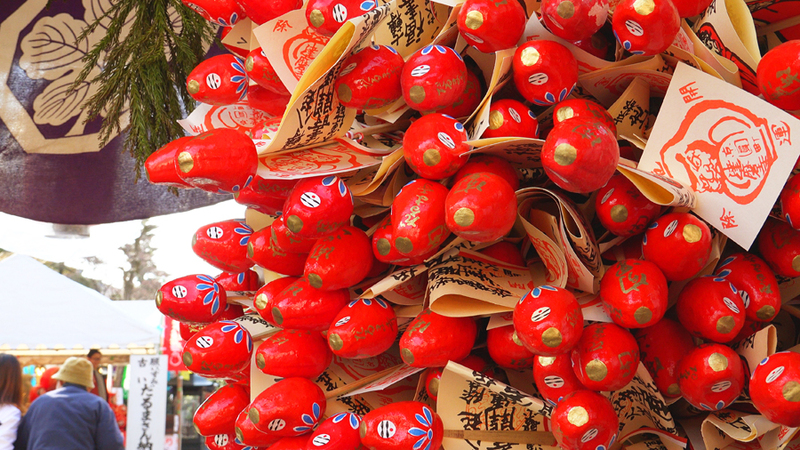 However, In the Daruma temple, visitors write a wish to amulets and paste on tha daruma. 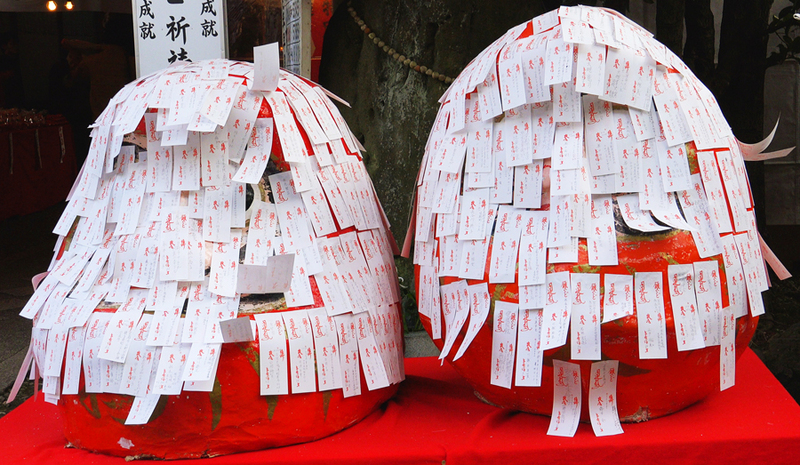 Visitors entrust a wish to Daruma. Darumas received everyone's wishes with their whole body. On this day Darumas are displayed in the verandah of the main hall. 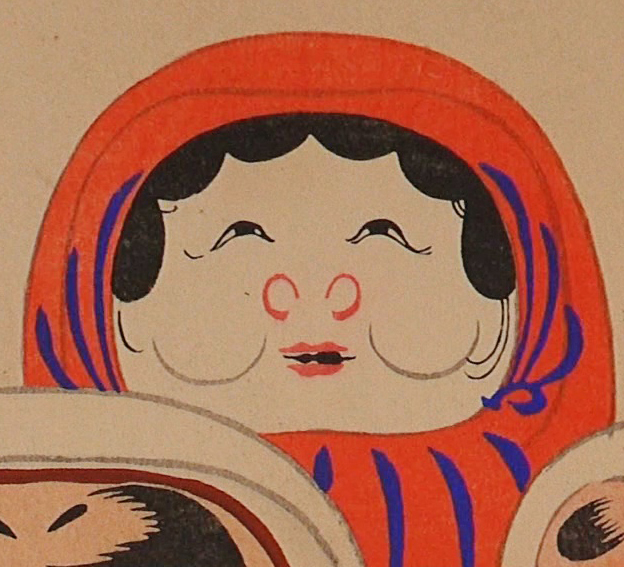 Folding screens of Daruma which is usually not exhibited to the public are also displayed. This folding screen is quite interesting. Until the very end, Oni does not come out. Daruma is the leading role at any time. That is the Daruma-dera Temple. In Kyoto, There is the temple called Daruma-dera Temple. The official name is "Horin-ji Temple" but commonly known as Daruma-dera Temple is even more famous than Horin-ji Temple. 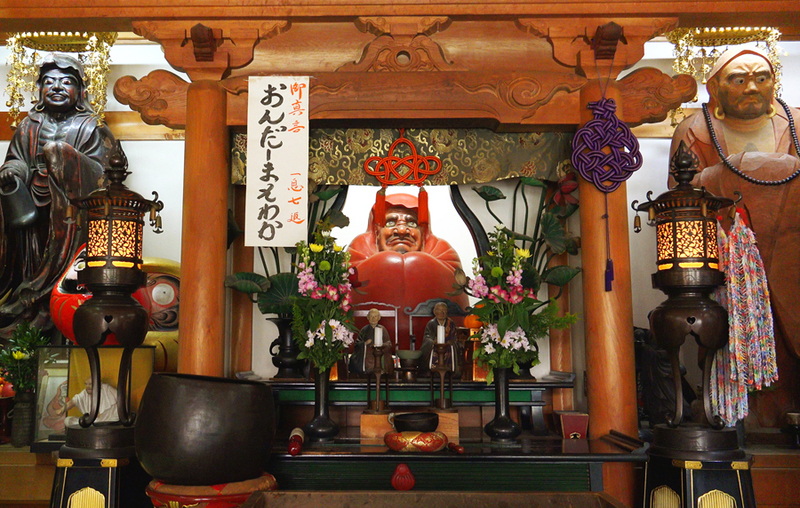 Before introducing the Daruma temple, I'll explain about the Daruma. It have been popular as a lucky charm or toy. In Japan, Anyone from adults to a children know the Daruma. 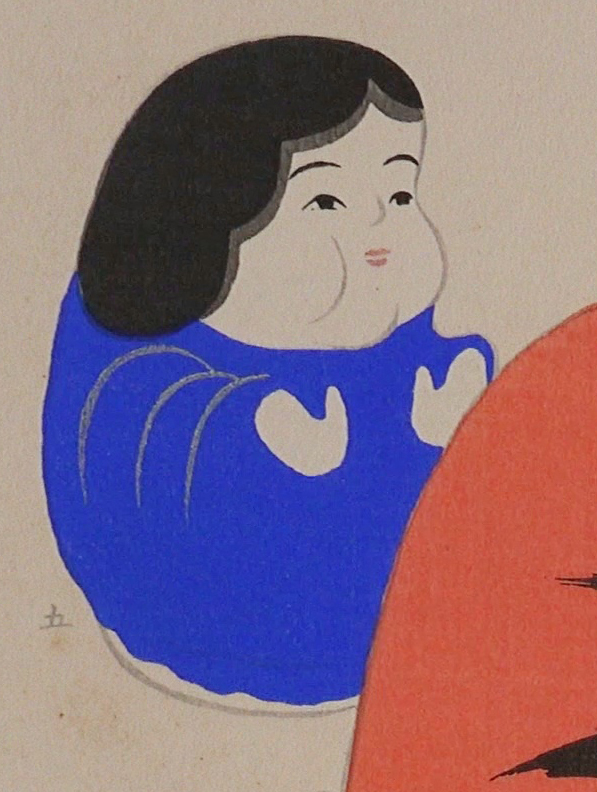 Daruma was made based on a real person. The man is the Dharma who is practicing the Zen Buddhism. Dharma was flourished from the second half of the 5th century to the first half of the 6th century. Dharma was born as a prince of India, but he became a priest. 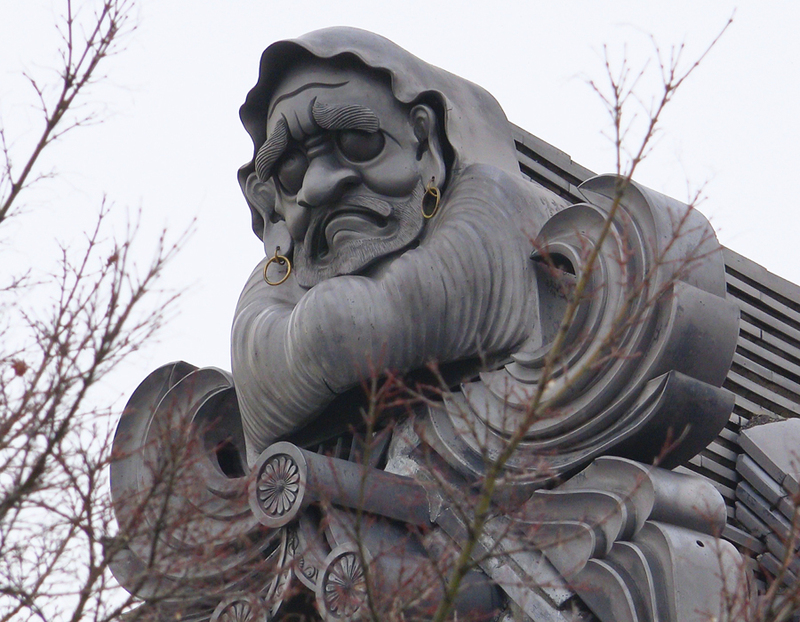 After the ascetic practices about 40 years around, He went to China. He missioned Zen Buddhism for the first time in China. A famous anecdote about Dharma was sitting in religious meditation to facing a wall for nine years. This time, Dharma was wearing a coverlet for cold weather. Picture of Dharma is often drawn in this style. 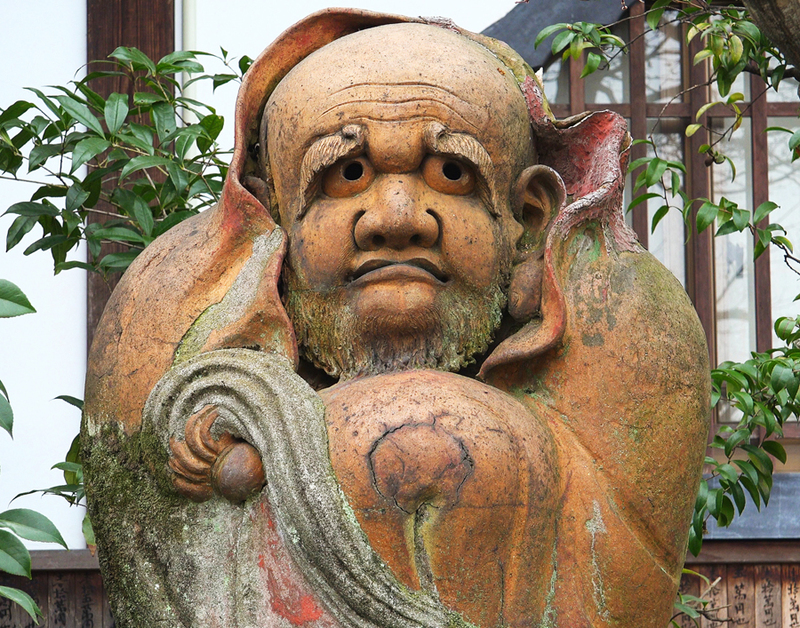 This figure and legend of Dharma was transmitted to Japan with Zen Buddhism. 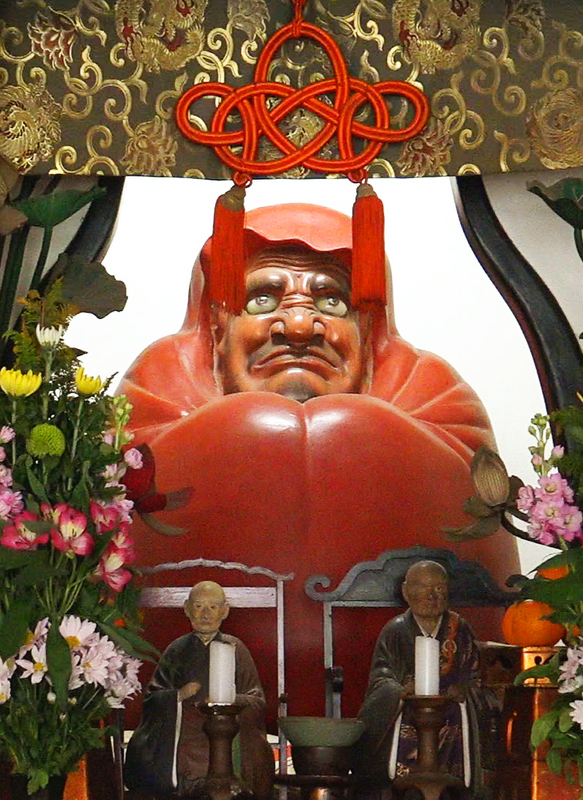 It is said that the current round Daruma was born from this figure and legend. Dharma has a legend that his arms and legs was rotten and he lost his arms and legs because of the religious meditation for nine years. It is also said that Origin of Dharma is this Figure. Why did Daruma became lucky charm? There is a toy called "Okiagari-Koboshi (tumble doll)" in Japan. It is a toy that put a weight into the doll, and it returns to an upright position even if it tipped over. 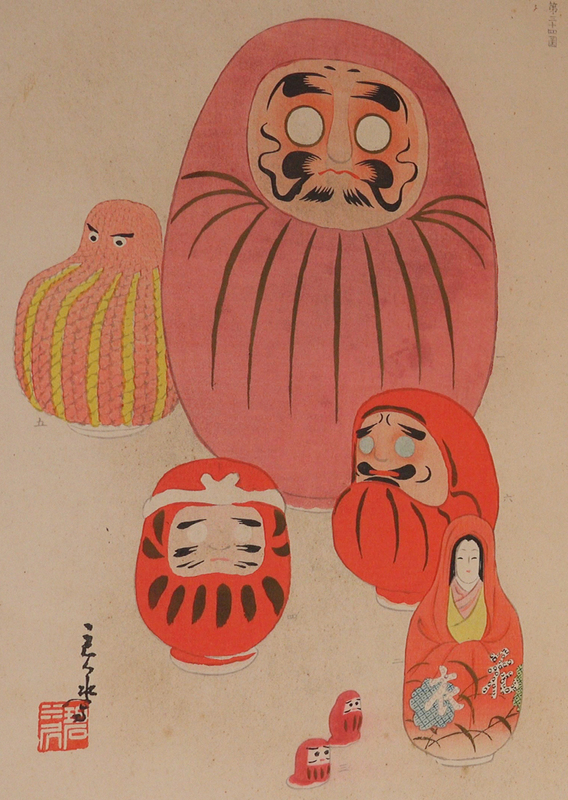 Form of Okiagari-Koboshi is similar to the Daruma. 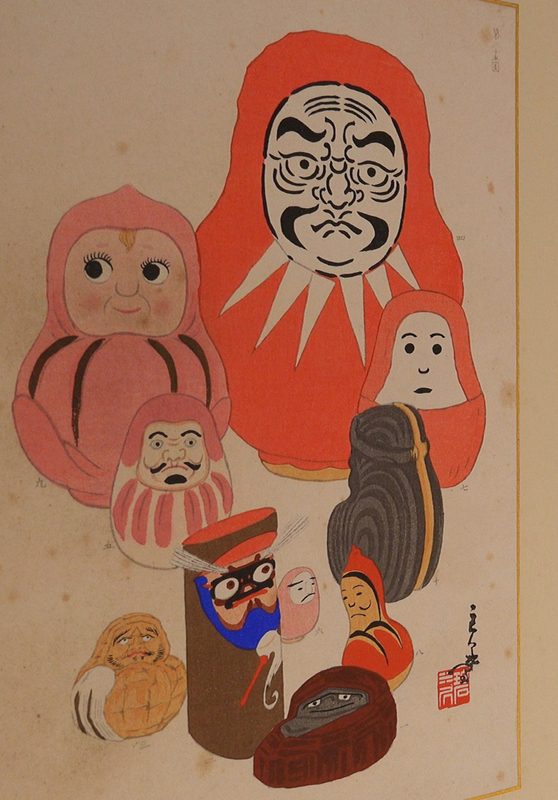 Wobbling was gradually confused with Daruma because Okiagari-Koboshi and Daruma are similar. In this way, Daruma having a function of Okiagari-Koboshi was finished. 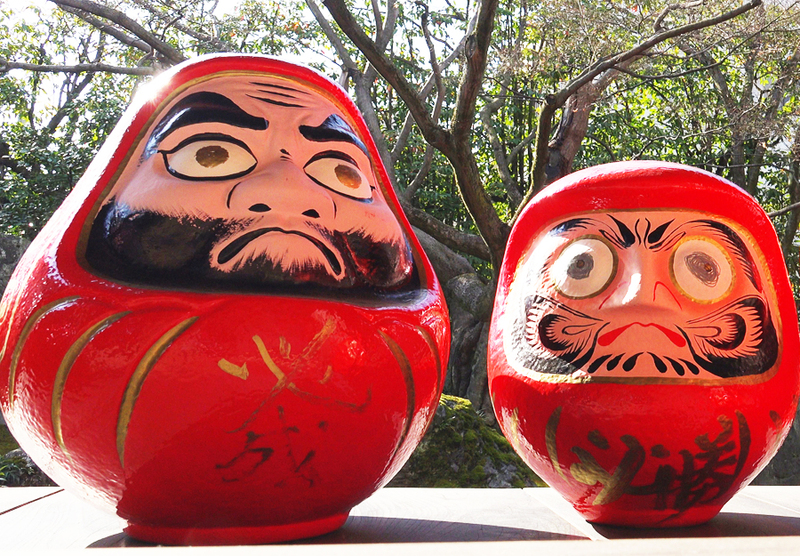 Red and white colors of the Daruma and the figure of Daruma which always get up were a good omen. Thus, Daruma became lucky charm. Then, Daruma came to be also used in Buddhist prayer. It is act to share of good luck from Dharma's an indomitable spirit. Draw the eye with your hope. If your wish come true, draw the other eye. Daruma which both eyes are drawn means someone's wishes come true. Dharma has such history and has been familiar to many people through the ages. 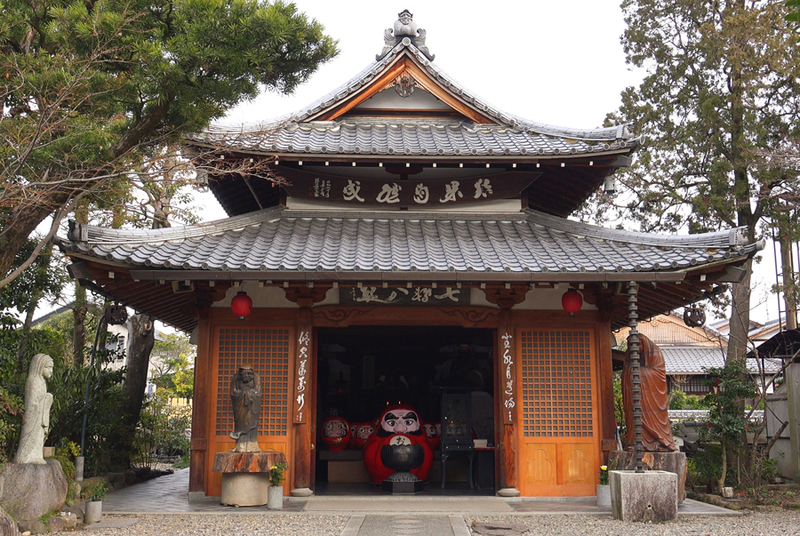 Name as the "Daruma-dera Temple", there is a Daruma everywhere in the precincts of this temple. Enshrined Daruma seems to more than 8000. 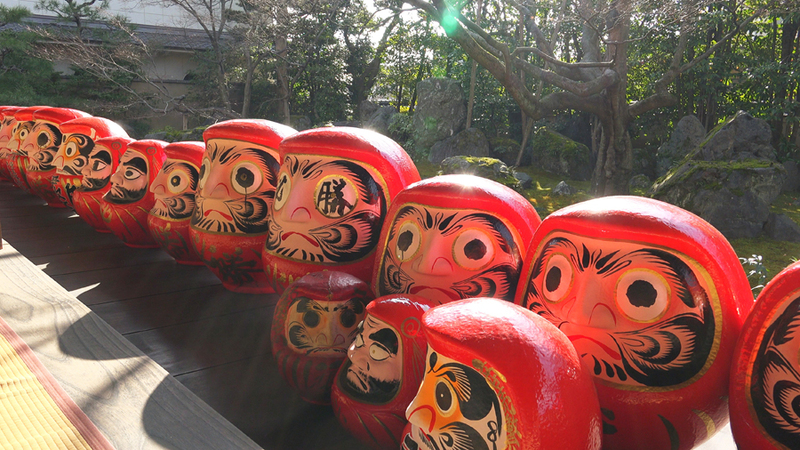 Around the this Daruma statue, Animals of the twelve Japanese zodiac signs are lined. Pedestal is cinerarium for pets. 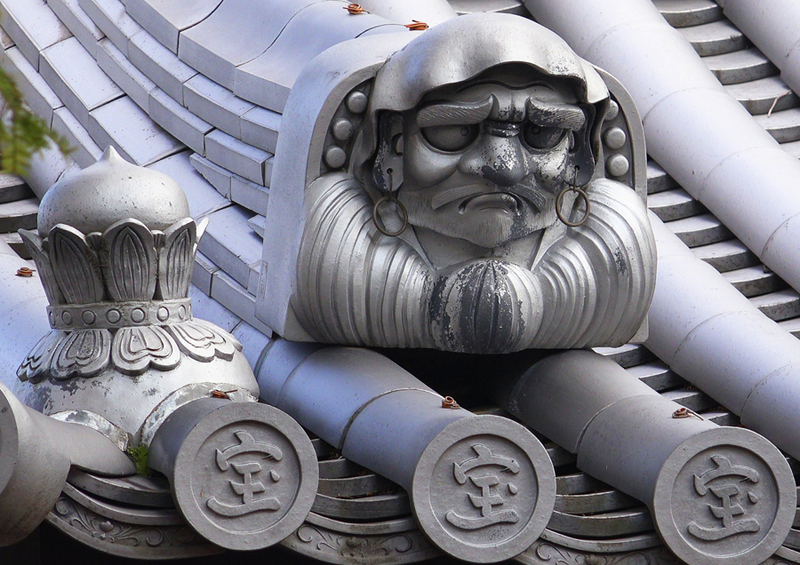 There are various Daruma on the roof. Anyway, it is tremendous Daruma density. There is also Darumas at the entrance. 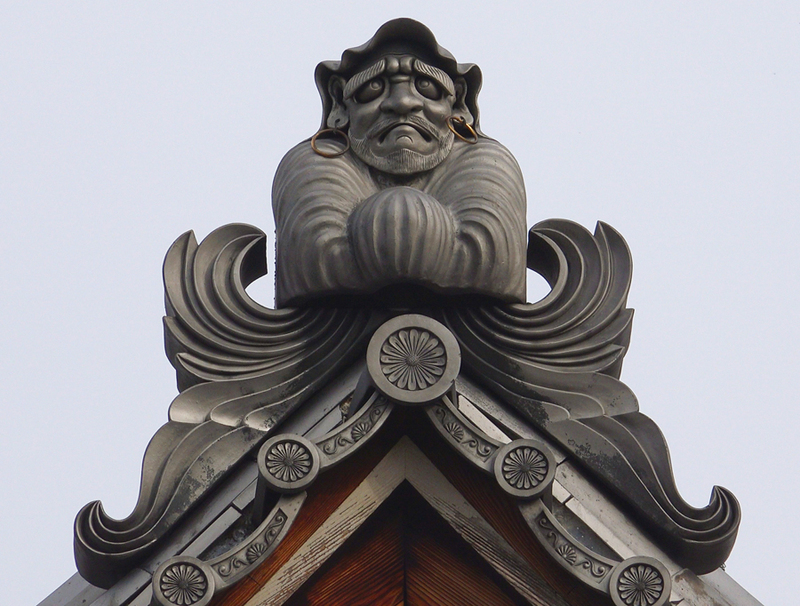 There is also Daruma on the roof. 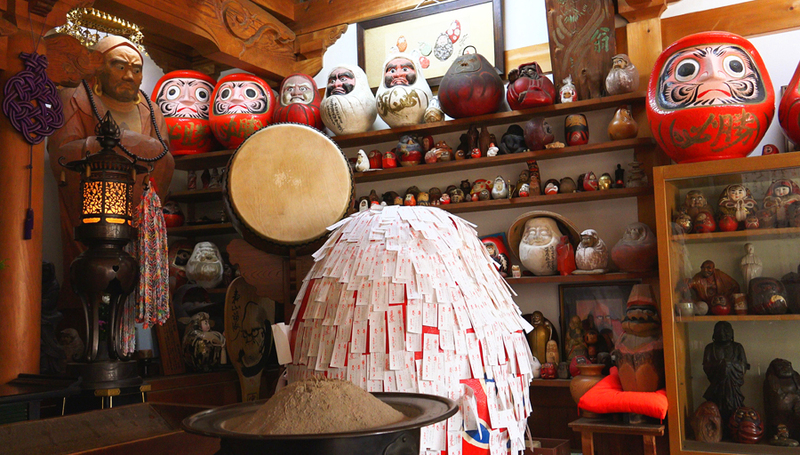 There is also full of Daruma inside of the building. 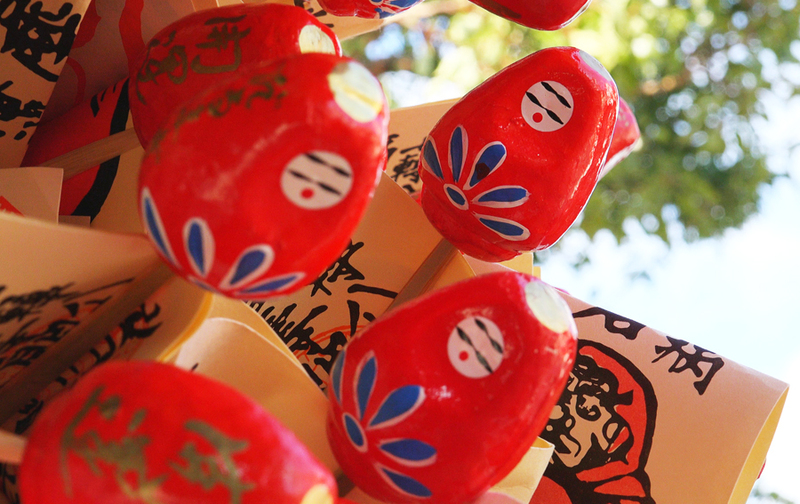 These Daruma has been given to this temple when someone's wish come true. 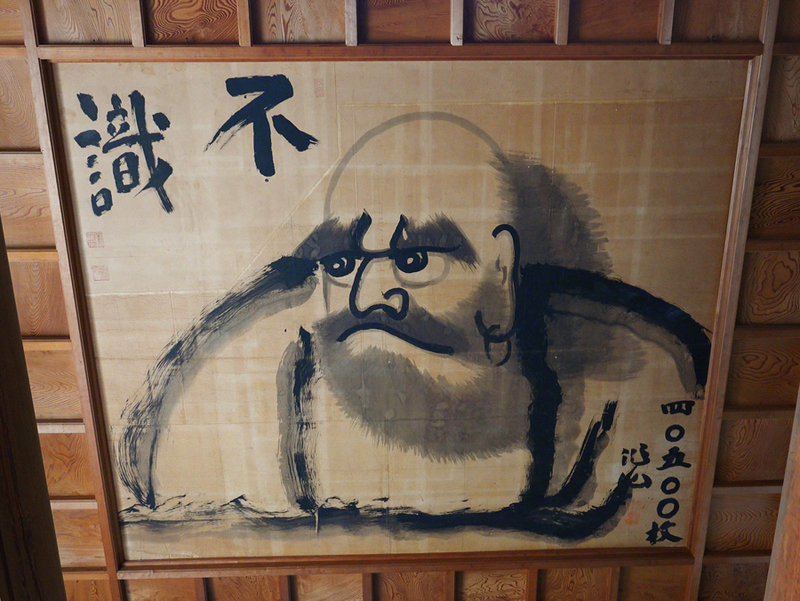 There is also a Daruma on the ceiling! This is the Daruma statue in the center. I never get tired of looking at that. 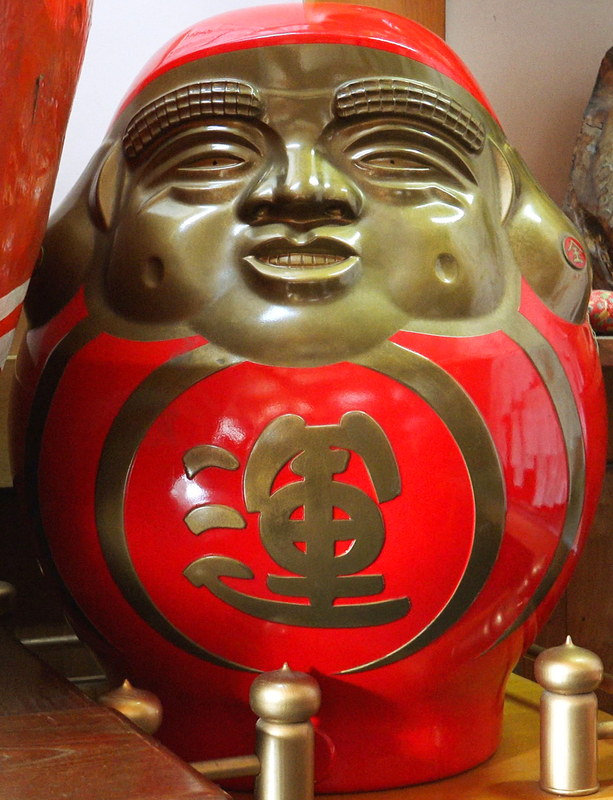 Incidentally, my favorite Daruma is this. 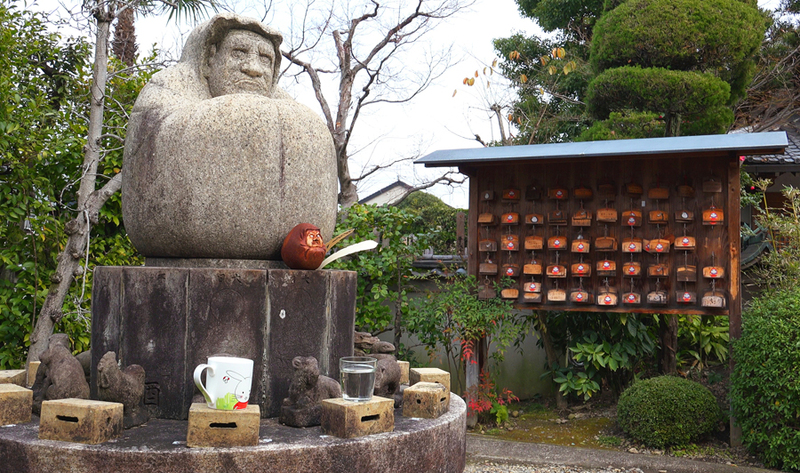 There are a few characters at the entrance of the Daruma-do. I will explain the meaning. It means "When you fail many times, get up without giving up"
It is a figure itself of Dharma that survived the ascetic practices. 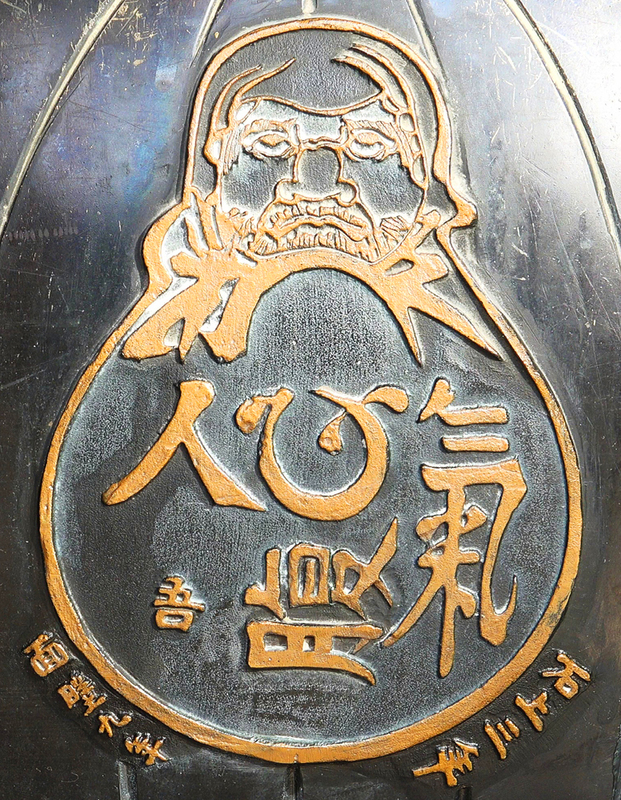 Chinese characters are written in the stomach of the Daruma. Character is oriented various directions. "be patient, have a tender heart, Without angry, be a tolerant person, Without self-assertive"
It seems this is teachings of Dharma. The garden side of the main hall is not widely. But green moss and trees is very beautiful. Autumn leaves is also very beautiful in the fall. Here is not the sightseeing spot of Kyoto. However, here is a temple where can be spend the time with a smile surrounded by Dharmas. 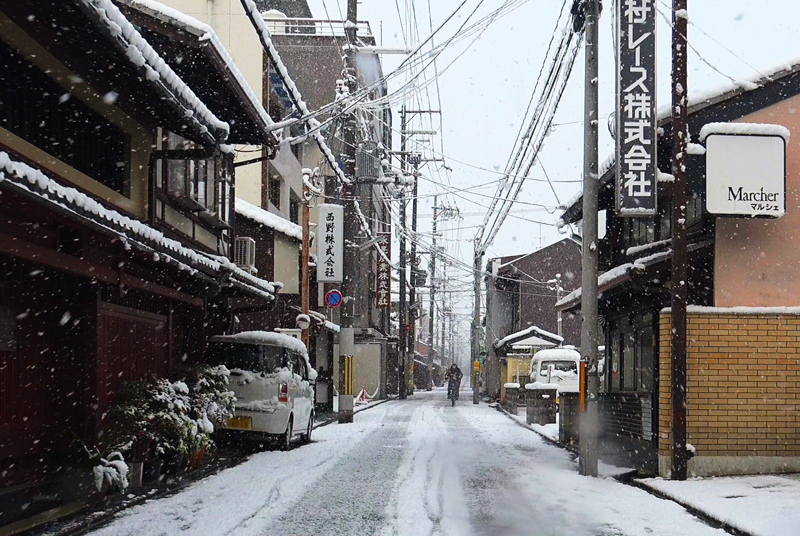 This is Kyoto on the morning of February 1, 2015. 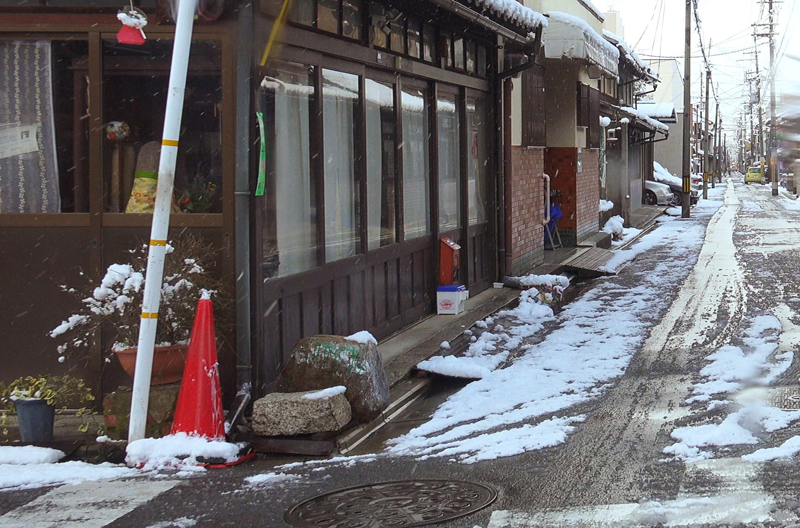 In Kyoto, It was snowy landscap since New Years this year. I will describe the history of Nishijin in more detail. Nishijin is the birthplace of Nishijin Textile. Even now, there is the area where work related to the textile gather. Position of Nishijin is red part on this map. The capital was moved to Kyoto and imperial palace was built in 794. Here was the northern end of the imperial palace. 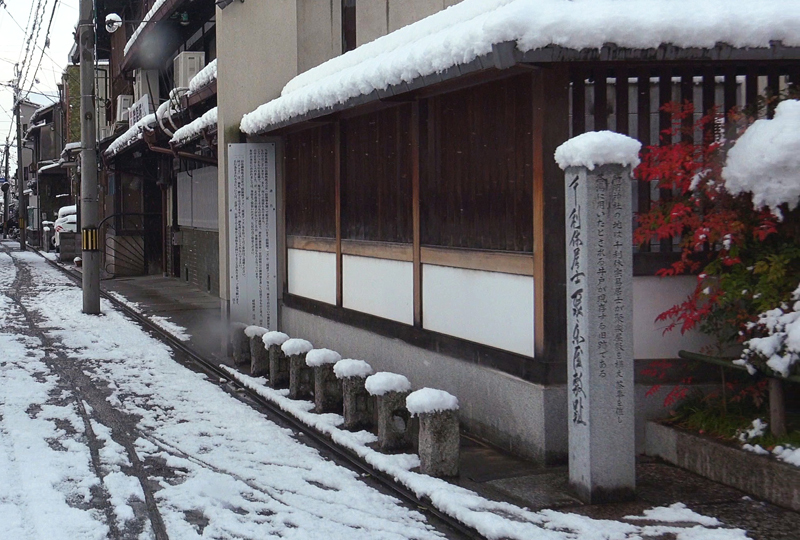 Ichijo-dori Street that was introduced in video was in the same location since the Heian Period. Road width of the time was 30 meters! 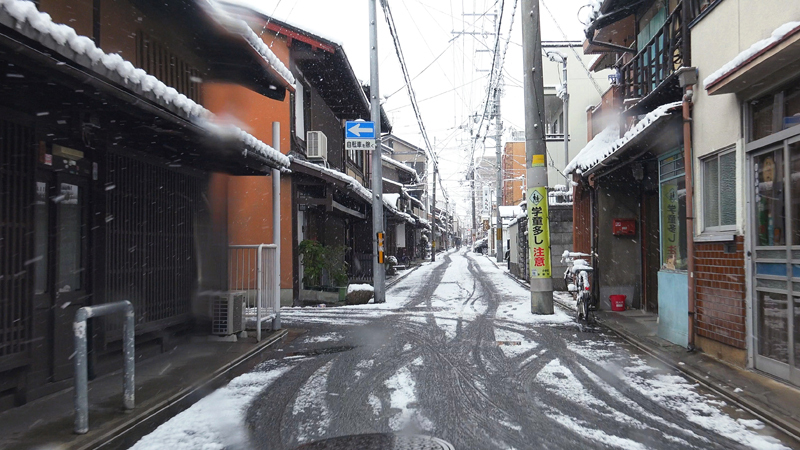 Road width has become much narrower than the Heian period. In June 1467, the Onin War began in Kyoto City. Oni War was civil war. The cause was a succession race generalsin the shogun family of Ashikaga. Kyoto was the main battlefield of the Onin War. As a result, Kyoto was destroyed almost entire area, and was devastated. This is the origin of the name of "Nishijin". 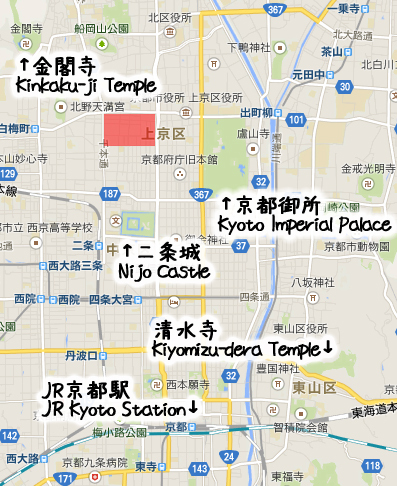 Kyoto was redeveloped by Toyotomi Hideyoshi's urban planning in 1587. Around the Nishijin, Jurakutei was built. Hideyoshi Toyotomi is the person who unify the whole Japan in the Sengoku period. This is the Nakadachiuri-dori Street. There is stone monuments of "Former Jurakutei site" in the elementary on the right. Jurakutei was government office and residence of Hideyoshi Toyotomi. It was supposedly luxurious castle. For example, roof was covered with golden leaf. However, It is not well understood for more information because Jurakutei was thoroughly destroyed by the order of Hideyoshi Toyotomi in 1595. 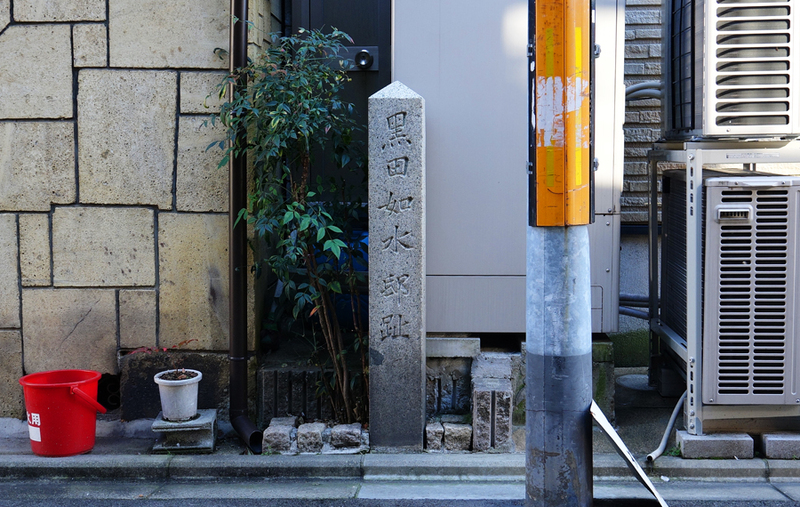 This is the stone monuments of "Former Jurakutei site" in the street intersection of Omiya-Nakadachiuri. When a large-scale construction, remains of Jurakutei is often found in this area. Around the Jurakutei, There were many residences of Hideyoshi's relatives and vassal. I will introduce the stone monuments in the area that appeared to this video. This is the stone monuments of "Former Josui Kuroda's residence site" on the Ichijo-dori Street. Kuroda Josui is the famous close adviser of Hideyoshi Toyotomi. There is a stone monument at the back of this scene in the video. Distance is 300 meters. 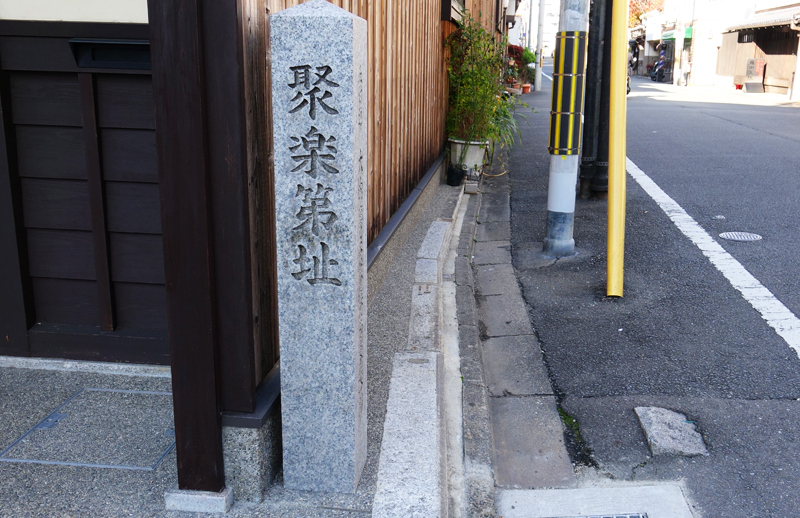 This is the stone monuments of "Former Kagekatsu Uesugi's residence site" on the Kuromon-dori Street. Kagekatsu Uesugi was a vassal of Hideyoshi Toyotomi. This is the stone monuments of "Former SEN no Rikyu's residence site" on the Yoshiyamachi-dori Street. SEN no Rikyu served Hideyoshi as a master of the tea ceremony. During the rule of Hideyoshi Toyotomi, there were a lot of feudal lord's residences in this area. There is a place where feudal lord's name is the origin of the town name. The name of the town is written on the red box. It is Hidadono-cho. The origin of the town name is Ujisato Gamo who is the close adviser of Hideyoshi Toyotomi. His common name was Hidanokami. There are many towns named associated with feudal lord's who served under Hideyoshi around this area. 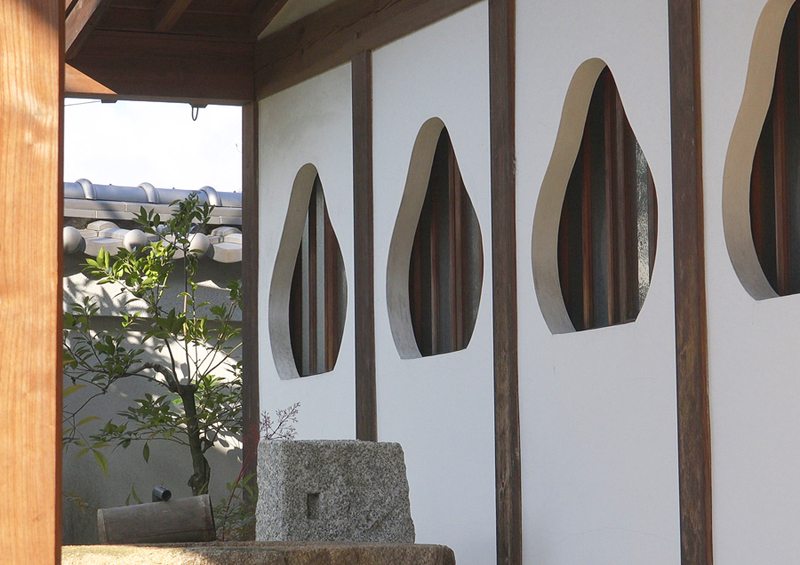 When stone is placed on the corner of the house, it is difficult to enter people and cars. This is the wisdom to avoid trouble beforehand. 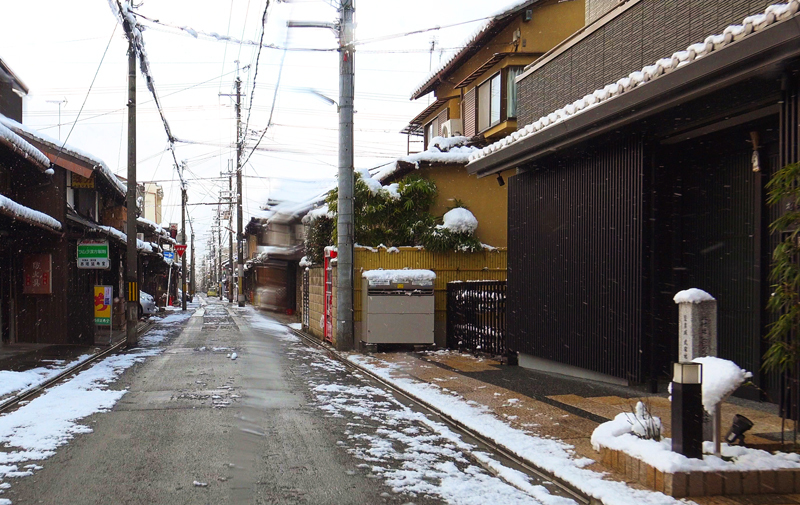 In Kyoto, the house sits width is small and the depth is large. Because of this, House in Kyoto sometimes called "eel of bed". In Kyoto, There are many many street which vehicular traffic is allowed to move in only one direction. In the case of the car, it is struggling to get to the destination if you are unfamiliar. There were many house that does not have a bath until a few decades ago in Kyoto. Because of that, There are a lot of public bathhouses. Towns and street named "Moto(from the first) --"
The name of the town is written on the red box. It is Moto-Myorenji-cho. "Moto" means "from the first". From the first, there was temple that called Myoren-ji Temple here. But Myoren-ji Temple was relocated for Jurakudai construction by the order of Hideyoshi Toyotomi. This is the origin of the town name. 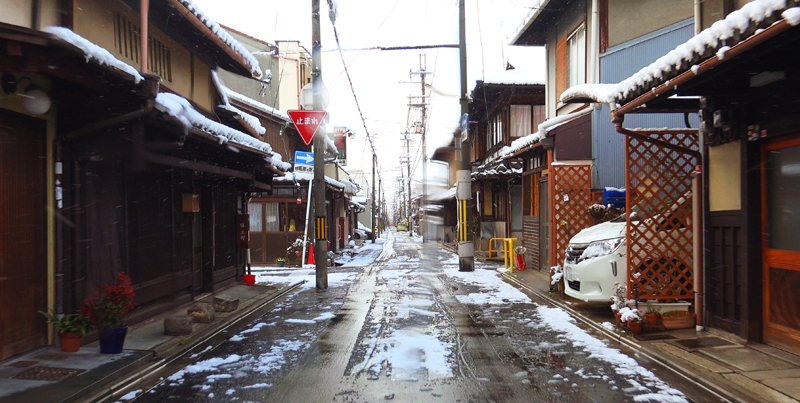 And, this street called Moto-Seiganji-dori Street because here is street that was Seigan-ji Temple from the first. Seigan-ji Temple was also relocated by the order of Hideyoshi Toyotomi. 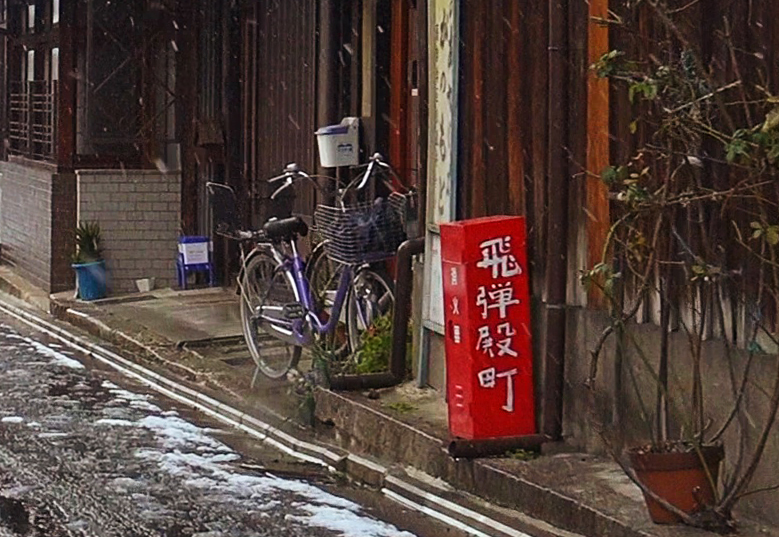 Kyoto is the town that mix "new things" and "unchanging thing more than a thousand year". In Kyoto, There are a lot of landscape like this. 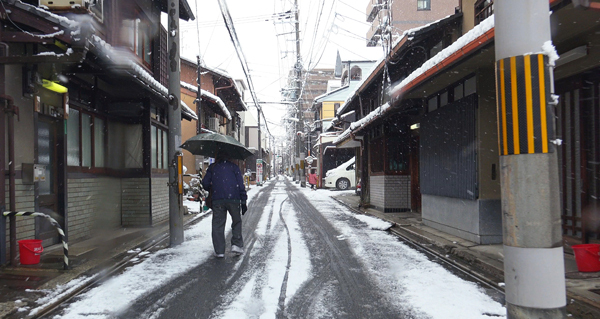 If you visit Kyoto, would you like to try to enjoy streets that remain atmosphere of history? Speaking of Rokkakudo is doves. There is the written oracle that is known as "written oracle of dove". 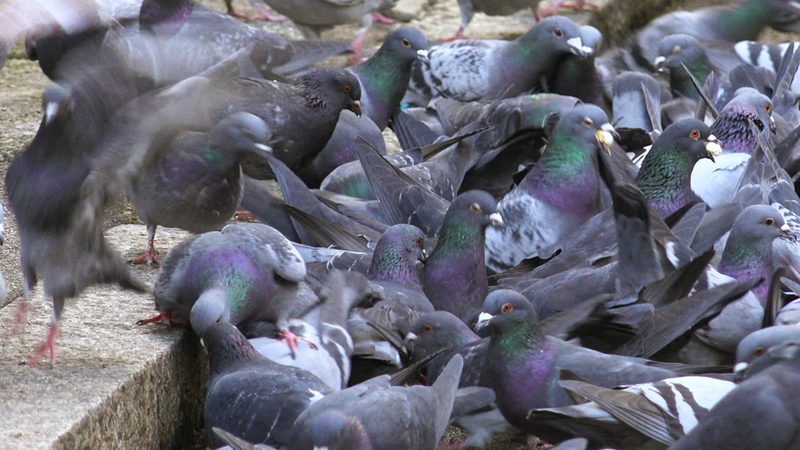 Real doves is a lot than the number of people who are in the precincts. They are always running around freely precincts. 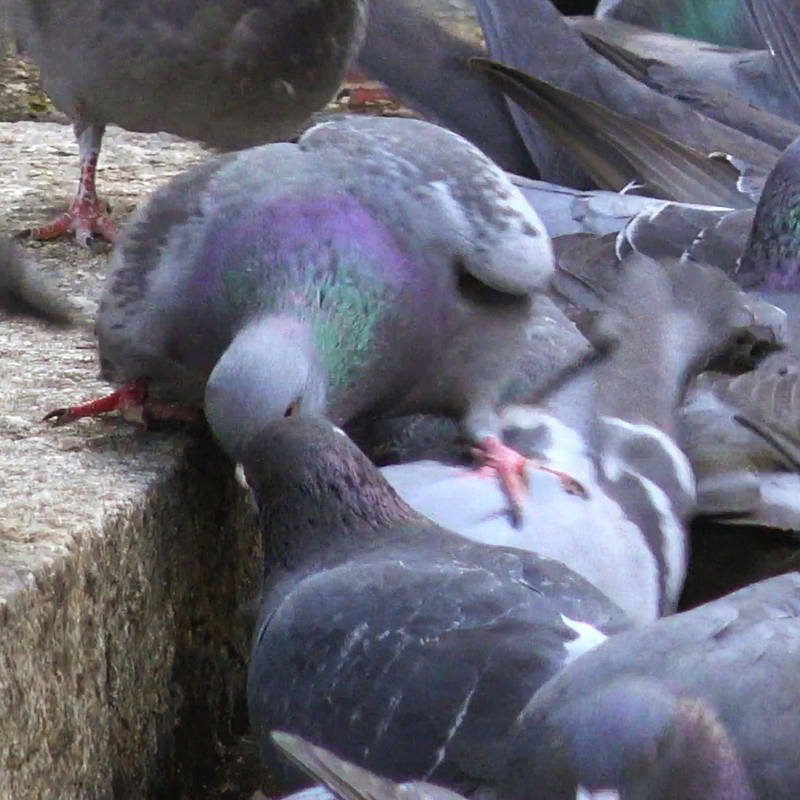 When you are praying, doves will flapping noisily or says "po po po po po" in your behind. 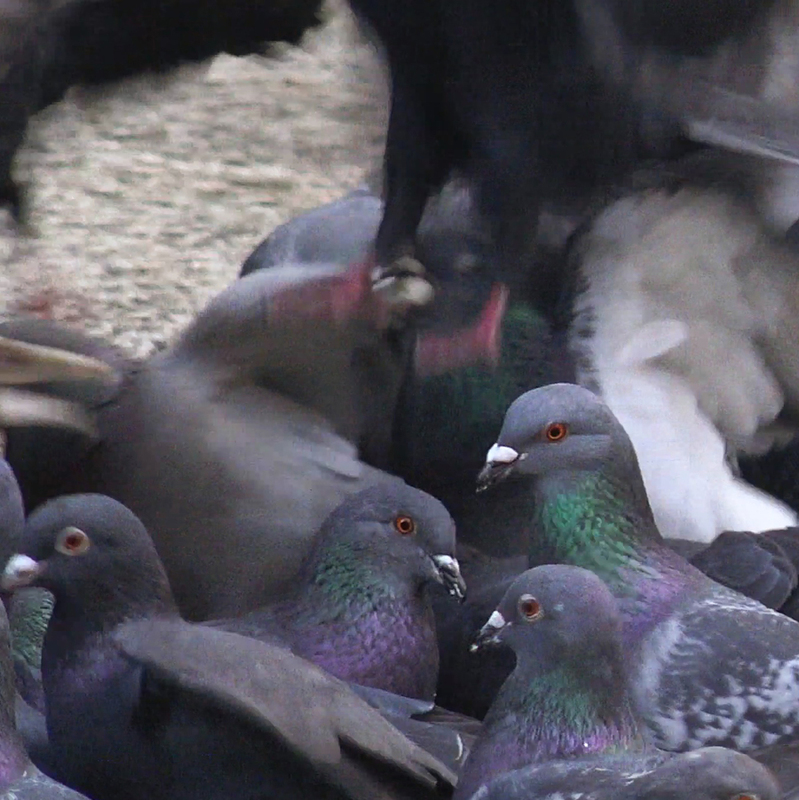 When you are praying with your eyes closed, you might be stepped on the foot to doves. It is not uncommon too. Let's pray without worrying. 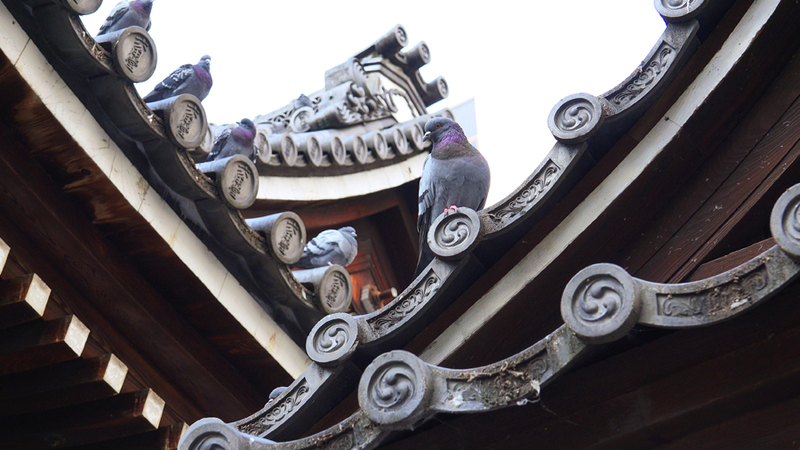 Feed to the doves is prohibited in many shrines and temples, but Rokkaku-do is allowed to feed to the doves. 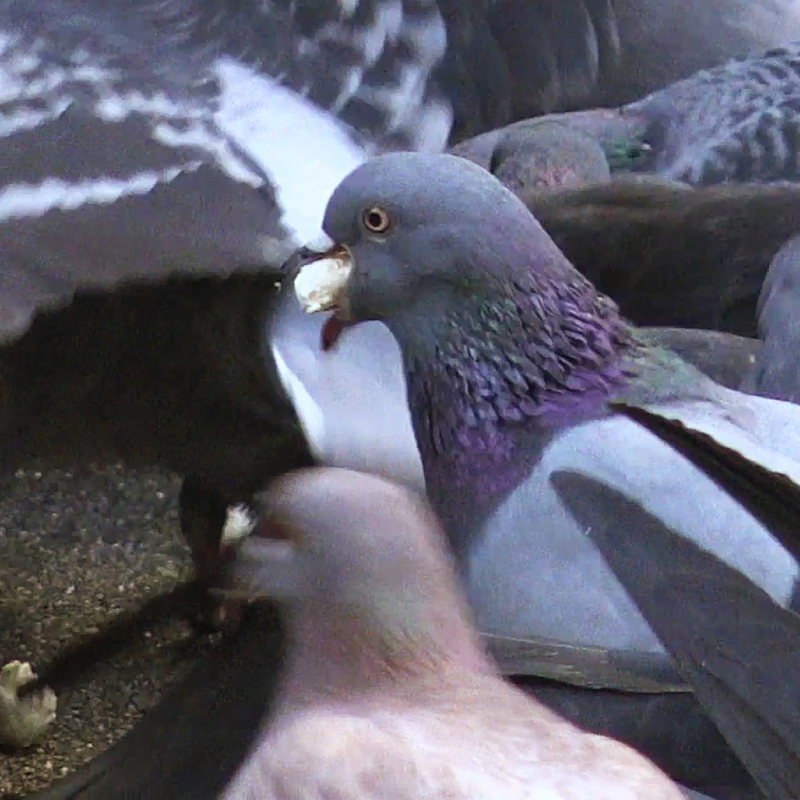 Feed of doves is sold in the precincts. However, it is not cute feeding such as little birds pecking for feed. In this way, it will be in the state without the called only with chaos. However, the momentum of doves seeking feed are far beyond your imagination. Doves will come riding to the top of the head freely. If you want to fully contact, let's equipped with clothes you can get dirty and mask and cap. Look closely, doves society is also tough. 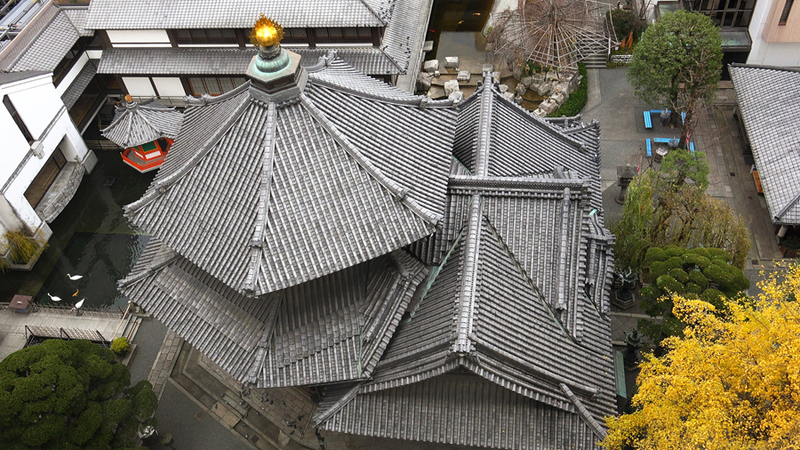 Rokkaku-do (Choho-ji Temple) is located in the middle of Kyoto that is lined with buildings. It is close to the Nishiki market. Its formal name is Choho-ji. 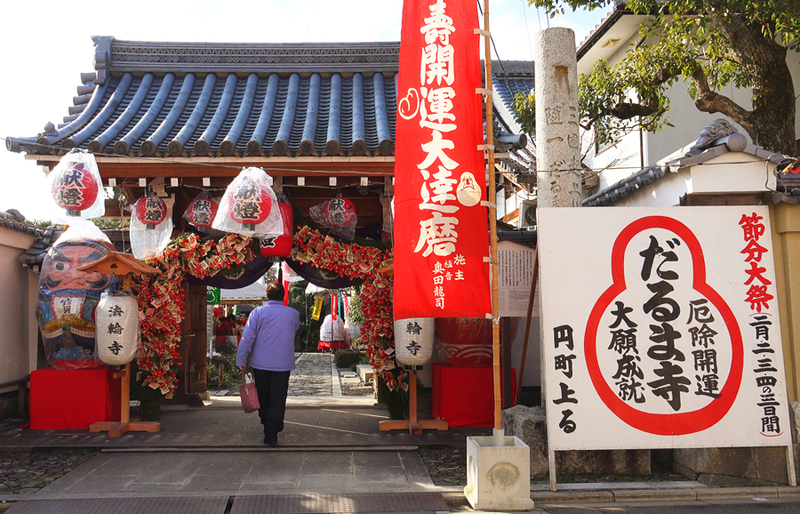 Than formal name, it is popular in the name of "Rokkakudo" after the hexagonal Hondo (main temple building). There is the building right beside this temple. One of the three Elevator in the building is the observation elevator. This picture is the main temple visible from there.You'll look better that roof is hexagonal. The history of Rokkakudo is old. 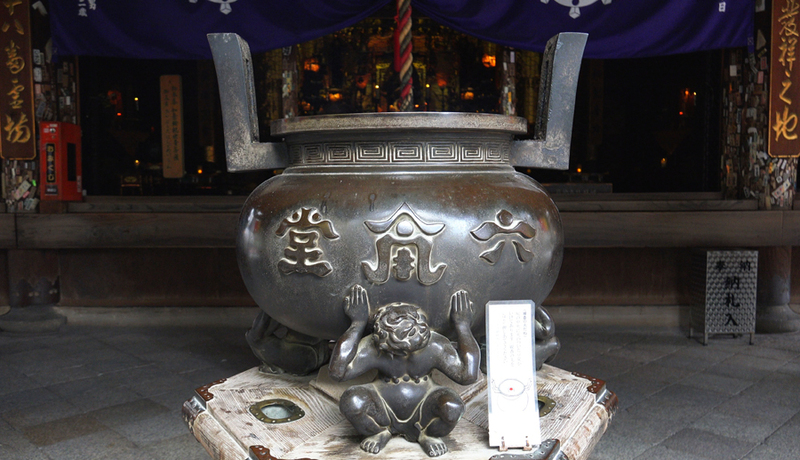 It is said, this temple was founded by Prince Shotoku in Asuka period. This temple was encountered 18 times of disaster just can confirm. However, common people have been revived each time. There are many traditions about Rokkaku-do. I will introduce one of the famous tradition. When Heian-kyo is was built, Rokkakudo was likely to destroy. At that time, the hall has moved 15 meters on their own. The reason that there is a lot of traditions, I think this temple has been faith in people from the old days. Rokkaku-do is the birthplace of Ikenobo school of flower arrangement. Priest of Rokkakudo was equipped with a flower in the morning and evening. How to arrange flowers is very great, it was spread to people. This is the beginning of the Japanese flower arrangement. 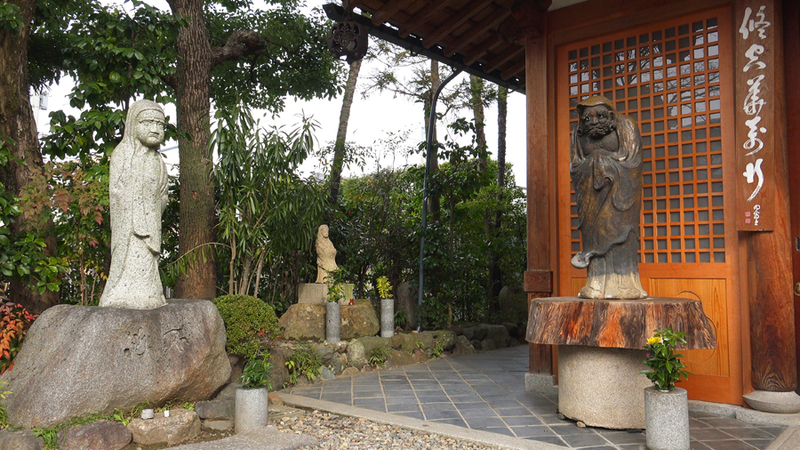 It is a temple that you can feel free to visit during break time of work or middle of a walk and other time. Copyright(c)2014 KYOTO VIDEOS. All rights reserved. No use or diversion without permission. If you want to use the contents of this site, please be sure to contact us. And with the permission please. For any loss or damage that may occur due to you have to use the contents of this site, this channel administrator does not assume any responsibility or obligation.